Longer ride this week for all you riders who have become fit over the winter. 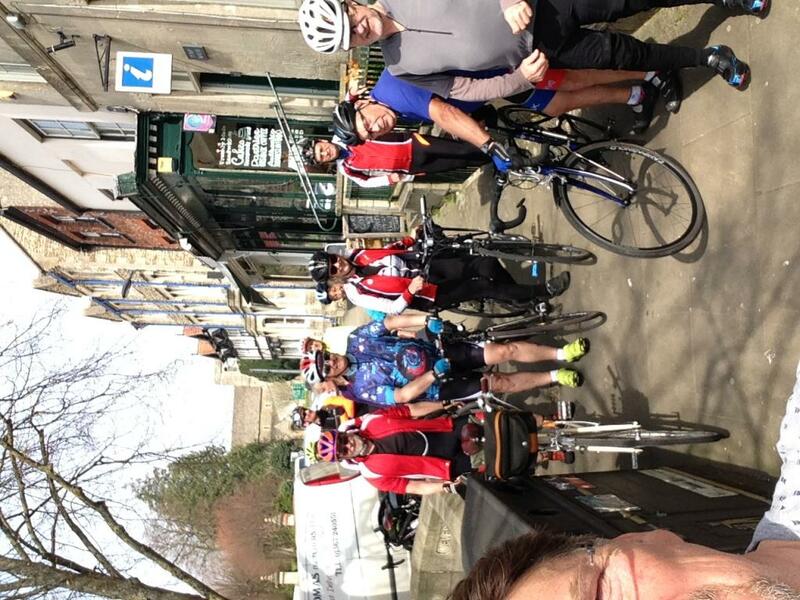 Ride to Faringdon for coffee and cakes. Out via Denchworth, Goosey, Baulking, Fernham (short climb) to Faringdon. Return from Faringdon (slight climb up the Old Stanford Rd) A417 to Shellingford crossroads then back through Hatford, Gainfield, Charney to Denchworth and home. Mostly downhill after coffee! Approx. 20 miles. A very good group with no problems about the pace or terrain. The cafe was good, as was the weather. Well done one and all!